It was already clear that the 2019 Season 1 build which will be released on December 4 is going to be awesome. iRacing.com already confirmed that the new update will introduce the North American Charlotte Motor Speedway Roval track and the Japanese Tsukuba Circuit as free content for all iRacing members. Furthermore, we also know that the Dallara Formula 3 will be available and that the new build will include some amazing new enhancements. But there is more. In his latest blog post, Executive Director of iRacing, Tony Gardner already hinted that they might have one more surprise up their sleeve. Some of you might already have forgotten that back in July 2015, iRacing announced that besides the already released Formula Renault 2.0, they also licensed the Formula Renault 3.5. For a long time, it did look as if the Formula 3.5 would not make it to the online racing service. However, today we have been proved wrong. Out of the blue, iRacing confirmed that they will also release the long-awaited Formula Renault 3.5 open wheeler in line with the December build. In the real world, the Formula Renault 3.5 Series quickly became the ideal pre-F1 development category thanks to a competition-price ratio that had no equal. Now this powerful Formula racer will be will be integrated into the open-wheel ladder system on iRacing. 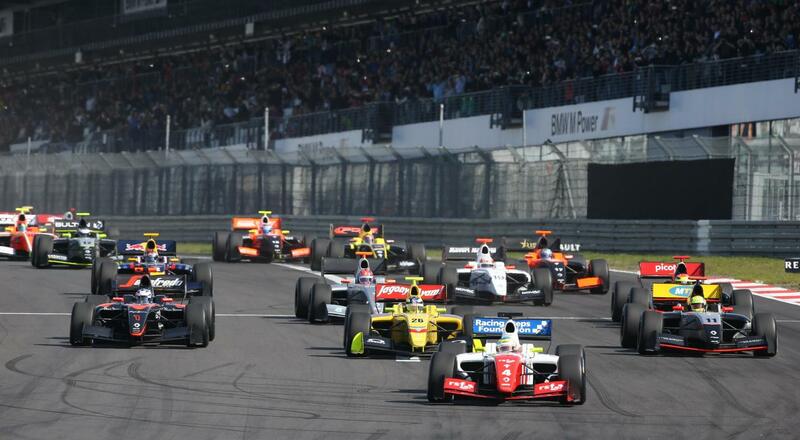 The powerful Formula Renault 3.5 sat between F3/GP3 and the GP2 Series in European motor racing’s single-seater pyramid until its demise at the end of 2017. Its origins lay in the Spanish-based Formula Nissan 2.0 that had run from 1998 to 2001 and included 1999 champion Fernando Alonso as its most notable participant. Nissan launched a new one-make series in 2002 with Dallara chassis and 3000cc V6 engines that had half of its races now held outside Spain. Parent company Renault also had a V6 championship at the time that supported the European Touring Car and FIA GT Championships. Renault decided to merge the two categories in 2005 with the renamed F.Renault 3.5 headlining its World Series by Renault race weekends for the next decade. Supported by F.Renault 2.0 and the Megane Eurocup, each meeting included two F.Renault 3.5 races. The series adopted the popular format of “feature” race that also decided the grid for the secondary “sprint” event – the top ten finishers from Race One starting in reverse order. The relevance of the series was illustrated by direct graduation to Formula 1 by 2013 and 2014 champions Kevin Magnussen and Carlos Sainz jr. However, Renault withdrew its support at the end of 2015 with the category renamed as Formula V8 3.5 for the following season. It ran in this guise for two years before dwindling grids forced it to close.